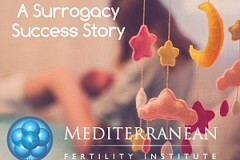 At Mediterranean Fertility Institute, we have been there to make your dream come true for over 20 years. 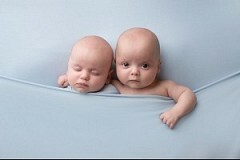 Our recognized infertility specialists, closely with you, develop a personalized fertility treatment plan. Our city of Chania, in Crete/Greece, is a leading destination for tourists around the world and our fertility center offers the chance to be a destination to happiness!!! Fill in the form on our Contact page and we will get in touch with you at the earliest possible. Please make sure to include any contact details and feel free to express any comments/inquiry you wish! We highly respect your privacy! DO THE TREATMENTS AFFECT OTHER AREAS OF MY LIFE? IS THERE AN AGE LIMIT TO ACCESS AN IVF TREATMENT? WHAT TESTS DO WE NEED DONE? HOW LONG DOES AN EGG DONATION TREATMENT TAKE? IS THERE A WAITING LIMIT FOR DONORS AND WHERE DO THE DONORS COME FROM? CAN I FLY BACK HOME STRAIGHT AFTER TREAMENT? WHAT DOES AN EGG DONATION TREATMENT COST? WHAT ARE OYR CHANGES FOR SUCCESS? Our team is more than happy to welcome anyone with infertility problems who wishes to receive the suitable treatment in the IVFGreece in Chania. We will provide the highest standard of care, treament and advice to achieve the best prospects for a successful pregnancy. Having state the art equipment and extensive experience in handling fertility problems, we ensure you that you will benefit from the highest level of treatment.